I am very impressed with the therapy department. The entire staff is great, they tend to our needs and are very patient. I love the activities and the things they do for us. The nurses are excellent, and the CNA’s are great too! They do everything for me that I can’t and never make me feel embarrassed or uneasy when I ask for help. I am so grateful for this facility! Not only do I work at Pine Meadows, my family and I recently had the opportunity to discuss whether to possibly admit one of our family members with terminal illnesses. The staff here is amazing, caring, and go above and beyond; not just for our work family, but for anyone in need of our services. Jan, Connie, Amanda, and Erica. Ladies, you will forever hold a special place in our hearts. My work family from Cooperate on down, we appreciate every act of kindness, the prayers, and Erica Parker you’re one in a million. Thanks for being there for my sister in law and staying till we got there. I’m truly thankful for my work family. We chose Pine Meadows for Claretta. We had heard good things about the facility from family as well as other sources. Gwen Jones & I connected immediately. She is my first shift CNA. Gwen took extra time to encourage me and show me how to do things to benefit my recovery. She played a big part in bringing me out of my shell and addressing my fear of being in a skilled nursing facility. Gwen, Brown, and Dana Thompson – my second shift aides are very sweet and understanding. They give me great care and have unlimited patience. The therapy department worked very hard to get me up and moving. They are excellent motivators. The speech therapist, Angela worked extremely hard to help me with speech and communication skills. I would get upset and cry, and she would also console me by telling me that, “everything will get better” and that I was doing a great job. Everyone at Pine Meadows greets you with a friendly smile. 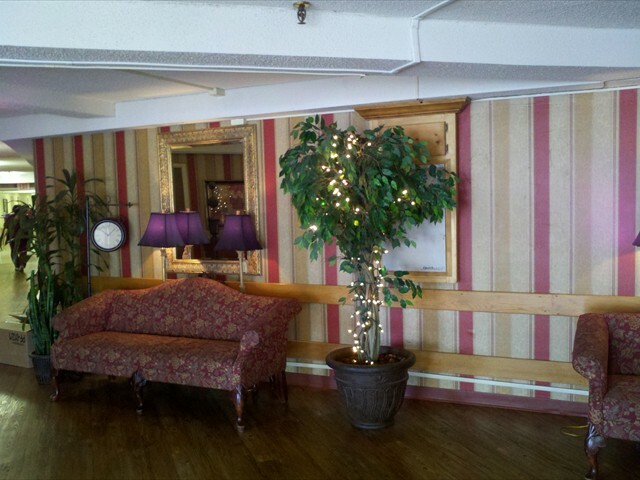 Pine Meadows is a friendly place where you always feel welcome! 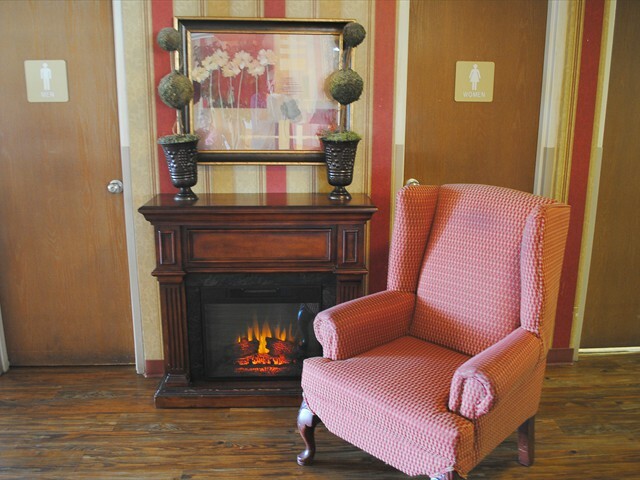 I chose Pine Meadows Healthcare because it is close to my home and my grandparents were here in the past. Out of many outstanding staff members, I must mention Armanda Sain, Gwen Brown, Bridget Gwen, Beverly Walton, Cassidy, Mike, and Joe. This place felt like home. My aunt has been here for a couple of years now. Each time we visit her she is in such an excellent frame of mind. They have activities like “prom” & special snacks. Also, the new director Amanda Kennedy has been a positive addition to the already stellar team! 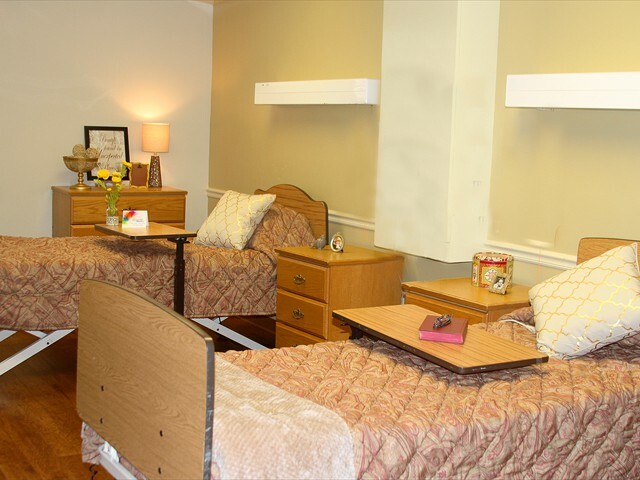 I chose Pine Meadows Healthcare & Rehabilitation Center because I heard it was a good place. Some team members that really stood out for me were Beverly, Ricky, Christine, Sarah, and Theresa. They were very patient with me. My daughter was highly impressed with the care that her mother received here. She stated that it actually changed her perspective of nursing homes. Della Ward stated that she was admitted to Pine Meadows for therapy because the facility was close to her home after a recent hospitalization. She said the staff here is kind and helpful. She really enjoys the food here and her overall stay has been pleasant as well. Barry Jones a resident at Pine Meadows wanted to share his experience here so far. He admitted to us after the nursing home he was in closed down. He stated he chose Pine Meadows because people in the community recommended him go here along with the staff at his other home. He also chose here because he has always lived in Bolivar. He mentioned a few departments that stood out along with a couple specific team members. The CNA’s are friendly and the nurses are very dedicated professionals according to Mr.Jones. Mr.Barry provides a few specific CNA’s and nurses that care for him daily. (Dorothy,Catherine,Carolyn,Lanette) Barbara and Margo from the activities department are very kind and inviting to help get me involved in activities says Mr.Jones. Dietary department provided food and snacks that make me feel more at home. He also mentions that Johnny Weems, social worker, went above and beyond by going out and getting him personal supplies when he first admitted. From the words of Mr.Jones, “I don’t know what I would have done without his kindness. The family of the late Norman Rhodes thank the staff for all that you did for Dad over the last seven years plus. Your dedication to his and the other residents comfort is to be commended. My name is Sarah Murphy. I chose Pine Meadows for myself. The reason I chose this center is because the facility if nice and close to home. Was there any specific team member or department that stood out and why? They all was great!!! 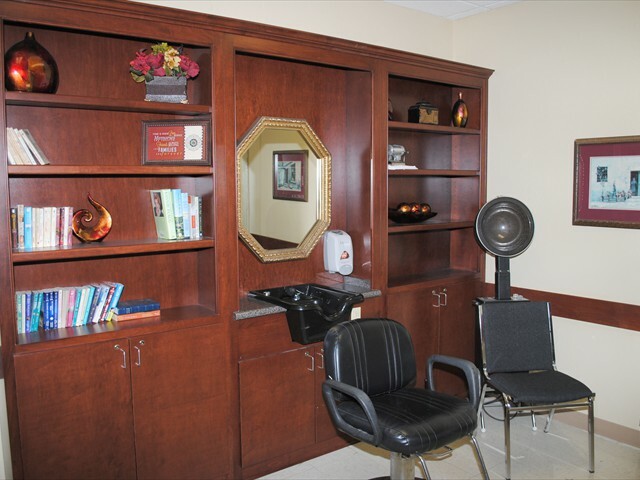 Is there anything else you’d like to share about your experience with our center? May you all be Blessed in taking care of others. THANK YOU! Thank you so much for the card and memory book Pine Meadows provided to the family. What a really nice gesture that is for your residents’ next of kin upon death of the loved one. 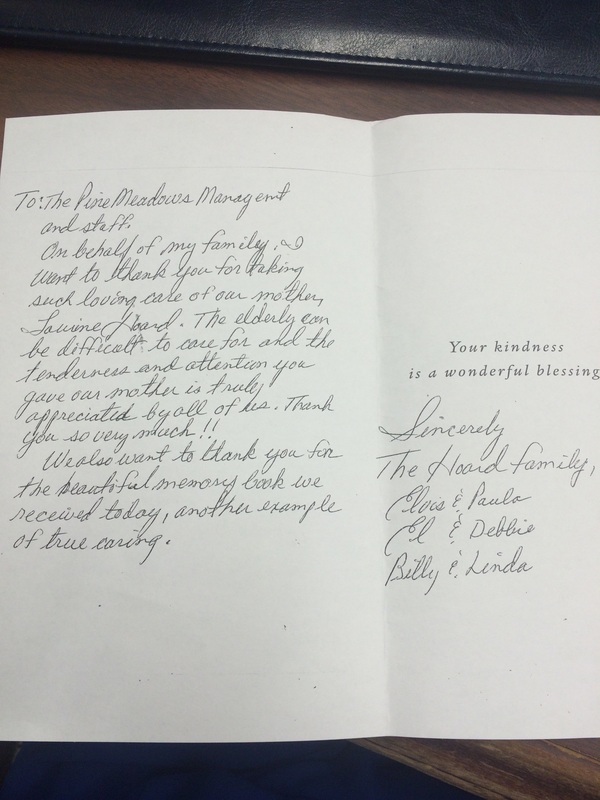 Also, on behalf of the three Maxey brothers, Randy, Dan, & David, please extend our heartfelt gratitude to all the staff members from the aides to the nurses to the management of Pine Meadows for an impressive showing of compassion and caring shown to Joe during his brief stay. Our Mother was in four different facilities in KY and then TN and I never saw or experienced the feeling of confidence in a group of caretakers like I did at Pine Meadows. This family was at their wit’s end trying to find a center for their loved one to admit to. 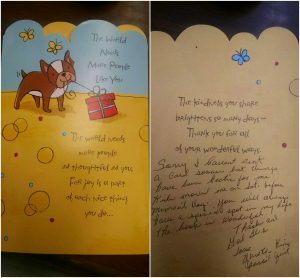 They have been so thankful since the admission of their loved one. Today was Mr.Maxey’s birthday, so his brother David brought a cake by to thank our staff for the job well done and to celebrate Mr.Maxey’s birthday. I chose Pine Meadows for my loved one because of its outstanding reputation. Erica, the admissions coordinator, was knowledgeable, helping, and efficient. I enjoyed meeting all of the ladies across the various departments. The efficiency with all impressed me. I fell in love with Holley after our talk and could not have been happier! The family of Judy W. would like to express our gratitude to the staff and employees for the care, concern and therapy while she was there. 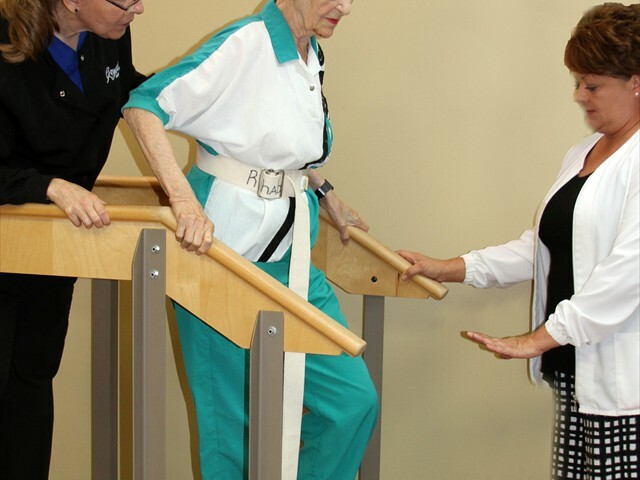 We never thought should would walk again when we carried her there, but she did with the help of the therapist. Your kindness and love shown to her was greatly appreciated. My family and I would like to thank you for the flowers sent to remember my brother Joe. All of you helped to make a situation more acceptable. He received treatment there that I would recommend to anyone in need of this type of care. A very clean facility, well-staffed and with a caring attitude towards my brother and a willingness to explain things and contacting me when the need arose. Thank you again for caring. The family of Mr. Samuel Haddix would like to take this opportunity to express to the entire staff of Pine Meadows (especially the A-Wing) our sincere and deep appreciation for the care shown to our loved one. Several of the staff (especially Juanita, Ricky, Beverly, Maggie and Erica) went above and beyond the routine care given to patients and it showed. They were very caring of our husband and father, and we will never forget the level of care and treatment he received in your facility. Thank you seems so inadequate to describe the way our family feels regarding the A-Wing staff. They were all so kind and understanding. So many times you hear nothing but negative things concerning nursing homes, but we can truly say that our husband and father could not have received better care anywhere else. We have no regrets about placing him in your care and we are so appreciative of the love he was shown while in your facility. Again, thank you for your love, patience, dedication to your work and diligence with which you carry out your jobs. My father, Joe Cofer, my brother, Rick, and I are very thankful for the wonderful care both mom and dad received at Pine Meadows. Last Saturday, the actions of the nurses and staff were absolutely astounding. The love and support mom received during the last hours of her life will never be forgotten by our family. Dad made it through this time because of the comfort and concern of his Pine Meadows family. I want to thank all of you at Pine Meadows for the love and care extended to my mother, Bonnie Neill, during her stay there. She loved you all very much and as family. We will never forget your kindness. A very special thanks to “B” wing nurses and CNA’s Physical therapy Dept. and all who worked as closely with her and gave her the positive encouragement she needed. Thank you for all that your and your staff did for Marianne. Thank you for helping me by making her funeral arrangements. I appreciate everything you did. I know she had great care at Pine Meadows. She will be missed. I would like to express my gratitude for your generosity and caring, not only for your residents, but for their families as well. The recent Thanksgiving dinner was definitely a success. My compliments to the Chef! The cuisine was wonderful. It was so refreshing to be able to have family together to eat. For various reasons, even some of us at home don’t get a family Thanksgiving dinner. This time together is cherished. Thank you for all your hard work and caring. You ALL are deeply appreciated. We have never met, but I hear so many wonderful things about you from my friend, Carolyn Redfearn. She has told me many times how she was so blessed to have you keep her informed and do so much for her dad, Robert Webb. 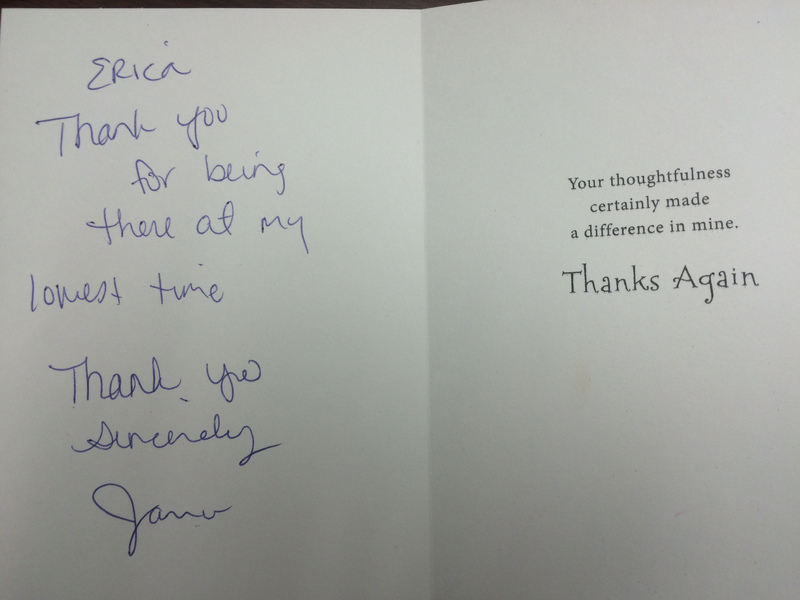 Of course, she appreciated all of the staff there at Pine Meadows as well. My husband and I had the privilege of knowing and visiting with Mr. & Mrs. Webb while they were still in their home. Please accept this small donation in memory of Mr. Webb. Thanks again for all you have done to make it easier for Mrs. Webb and for his family also. I just wanted to thank you for the nice gift that you blessed me with at the Volunteer Banquet!! I can not believe what started as one person teaching Sunday School and Bible Study on Wednesday nights in 1981 has blossomed some three and a half decades later into an awesome ministry from First Baptist Church, Bolivar, TN. I am just so very thankful that God has allowed me to be a small part of this ministry. I love each and everyone! If I can be of any service to the residents or staff please feel free to call on me. Looking forward to many more years of service with “our family” at Pine Meadows.